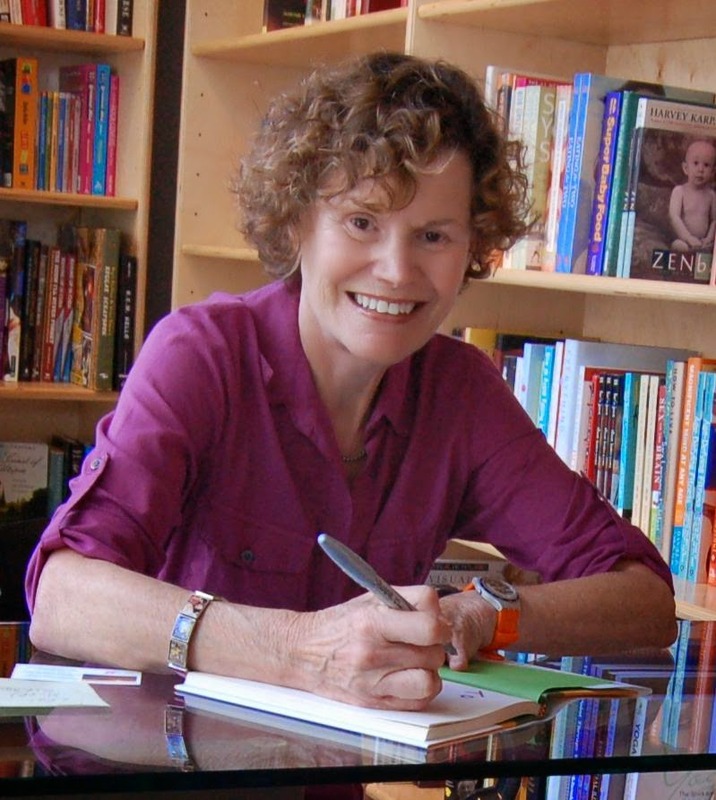 I recently read an article that it's been 45 years since Judy Blume's first book. 45 years! It made me reminisce about my childhood and what her books meant to me growing up. I don't know if there is any author today who does that for young girls. The first Judy B (yeah, we're tight like that) book I ever read was Blubber. I was about eight or nine but I remember it well. I found a copy in the bookshelves of some second cousins of mine who had migrated to Trinidad for a while and then moved back to the US. I had always read British novels. and though many of these books were classic, none of them were as fun and relatable as Judy's books were. This book dealt with the serious topic of childhood bullying but in such a humanizing way, teaching along the way and highlighting how very painful it can be for all involved. 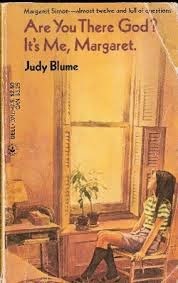 Thus began my relationship with Judy Blume. I loved reading before but this started to become a little bit of an addiction. I began getting whatever JB books I could from the library in Trinidad. When I went to NYC on vacation to visit my family, I would also borrow what ever books I could find there--- let's just say they had a much wider selection than in Trinidad. I learnt about divorce from Karen, miserable siblings from Peter, puberty from Margaret (why couldn't I get a bra at 11?) and death of a parent in Tiger Eyes. She dealt with topics like war, racism and exclusion and taught us kids better along the way. I even read about scoliosis, a condition I had and treated with surgery. As someone affected myself, she presented the disease and what Deenie went through in such a real way, it was surreal! The weird thing was that most of Judy's books were written in the seventies and early eighties but even when I started to read them in the later eighties and early nineties, her style of writing was so modern and fresh, I felt like it was a current book. I remember though thinking that the best book I had ever read was Just As Long as We're Together. 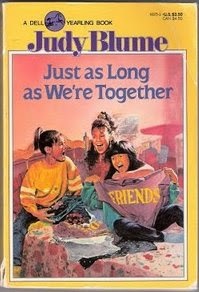 It was a book about three friends going through puberty with changing friendships and relationships, first periods and kisses. An entirely normal book, poignant, happy but so well written. I read it multiple times, and really understood and rooted for Steph, the protagonist. So Judy has grown with me and I've read most if not all of her books. Maybe it's because I borrowed most of her books as opposed to buying them like I do now, it felt like such a treat and made me appreciate them more. Even though I passed through the phase of all the middle school books, we weren't done yet. Forever dealt with all the complicated emotions of first love and how like the name so aptly suggests, you were convinced it was forever. And as a sort of final treat, Judy gave her readers who had grown up with her one last book about adulthood with Summer Sisters, published in 1998 before she unofficially retired. So what does this have to do with 'it's a girl's world', you might ask? Let's just say that Judy has been a long standing part of this girl's world for more than 25 years so far! I may have Elin now but I'm still one of Judy's greatest fans!